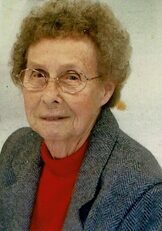 Lemoyne Belle “Monie” Wolfe, age 87, of Moorefield, WV, passed away on Sunday, November 18, 2018 at the Grant Rehabilitation & Care Center, Petersburg, WV. Born on January 8, 1931 in South Fork, WV, she was the daughter of the late Dolph Kuykendall and Jemima Dove Kuykendall. In addition to her parents, she was preceded in death by her husband, Julian Randolph Wolfe; and three brothers, Coyd, Truman “Mix” and Virgil “Tom. She is survived by two sisters, Mary Lou Johnson of Cumberland, MD, JoAnn Shaver and husband, Bennie of Moorefield, WV; two sisters-in-law, Phyllis Wolfe of Moorefield, WV and Lela Puffenbarger Kuykendall of Maryland; and several nieces, nephews and cousins. “Monie” was a loving wife and sister. She was a homemaker for many years and a member of the Bass Methodist Church, Bass, WV. 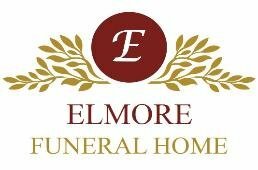 The family will receive friends from 5:00 to 7:00 p.m., Friday, November 23, 2018 at the Elmore Funeral Home, Moorefield, WV. A funeral service will be conducted at the funeral home at 11:00 a.m., Saturday, November 24, 2018 with Pastor Johnnie Stump and Pastor Cheryl George officiating. Burial will follow at Olivet Cemetery, Moorefield, WV. Memorial Donations may be made to the Grant Rehabilitation and Care Center, 127 Early Avenue, Petersburg, WV 26847.